David Caudle’s play, Visiting Hours, was named Best New Play of 2012 by The Times–Picayune for its premiere in New Orleans. 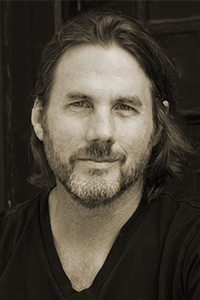 His play The Sunken Living Room (Samuel French, 2008), won the Ambie Award for Best Original Play. Caudle, both a Sewanee Writers’ Conference Tennessee Williams Scholar and Walter E. Dakin Fellow, is an alumnus of the Dorothy Strelsin New American Writers Group at Primary Stages. He is currently cowriting a screenplay for a feature film to be shot in spring, 2017, along with a small screen mini-series adaptation of the memoir, Major Conflict: One Gay Man’s Life in the Don’t-Ask-Don’t-Tell Military, by Jeffrey McGowan.